"Acute attention to detail, Great Musicianship and Phenomenal Harmonies are synonymous with "LEGEND of a BAND". This show faithfully re-create and celebrates the music of the Greatest Classic Rock band of a generation... 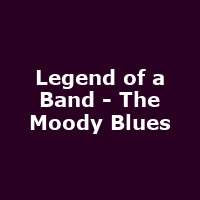 The Moody Blues."